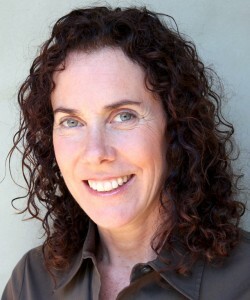 Alyssa Levy is an executive coach and program designer with Cascadance, and the Principal of Alyssa Levy Associates. Alyssa’s extensive experience as both an internal and external consultant affords her a unique ability to effectively address complex issues in organizational redesign and development. She has worked in high-tech, biotech, financial services, health care, professional services, commercial real estate and manufacturing sectors and facilitates a course in Interpersonal Dynamics at the Stanford University Graduate School of Business. Broad-based expertise in group facilitation, conflict resolution, negotiation, mediation, diversity, systems thinking and dialogue. Alyssa’s clients include Cisco Systems, Genentech Inc., Pinterest, Fitbit, Oracle Corporation, Charles Schwab, Kaiser Permanente, Hewlett-Packard, GE Capital, Johnson & Johnson, Adobe Systems, Scios Inc., Meritage Homes, Wells Fargo, Avanir Pharmaceuticals, Lucent Technologies, CareFusion and BD Biosciences. Alyssa holds a Masters of Education in Human Development and Psychology from Harvard University with a concentration in Adult Development and Organizational Leadership. In addition, she received the Elliot Pearson Academic Excellence Fellowship for her M.Ed. focusing on Instructional Design at Tufts University where she also completed her B.A. in Developmental Psychology. People describe Alyssa as insightful, intelligent, warm, and engaging. She is a lifelong dancer, enjoys improv theater, travel and the outdoors. She lives with her husband and daughter in the San Francisco Bay Area. My experience with Janet has proven coaching to be an asset, essential to developing individuals who are either in or aspire to be in positions of high responsibility.